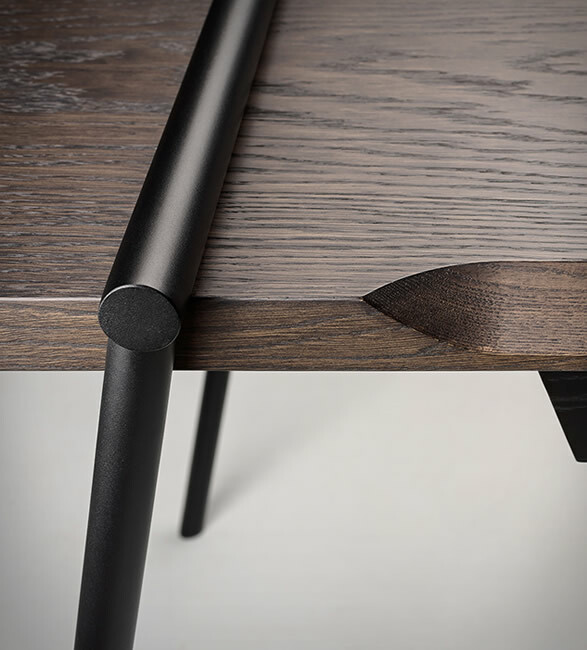 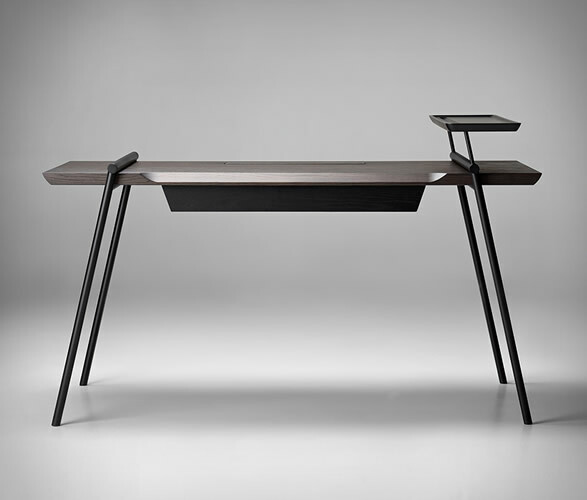 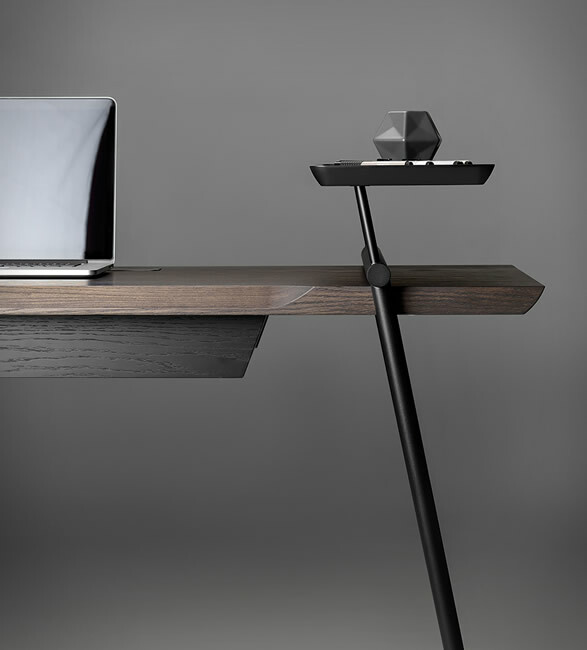 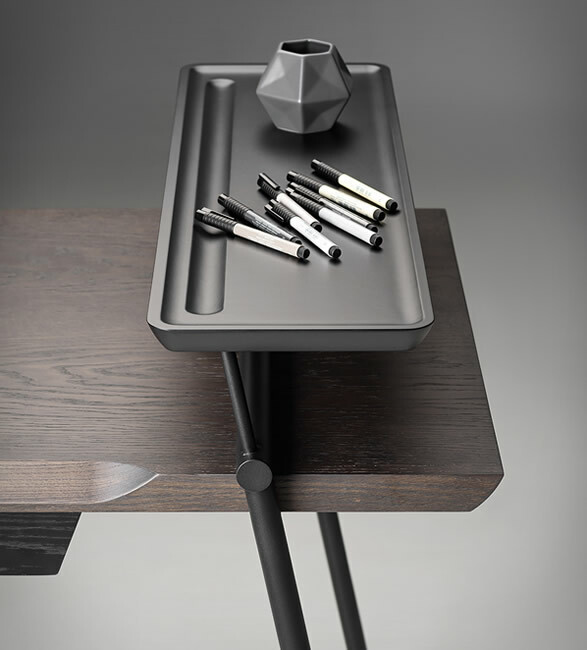 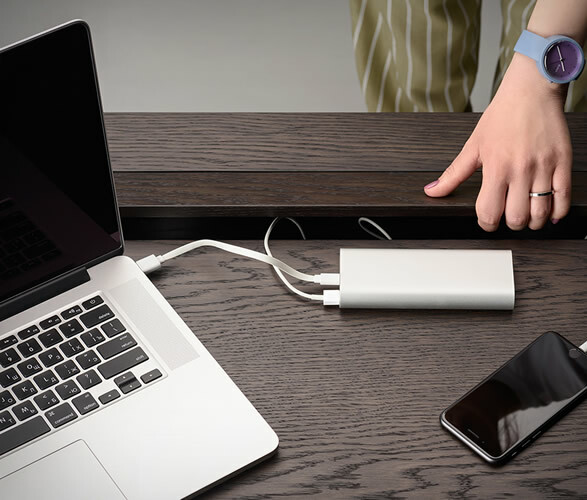 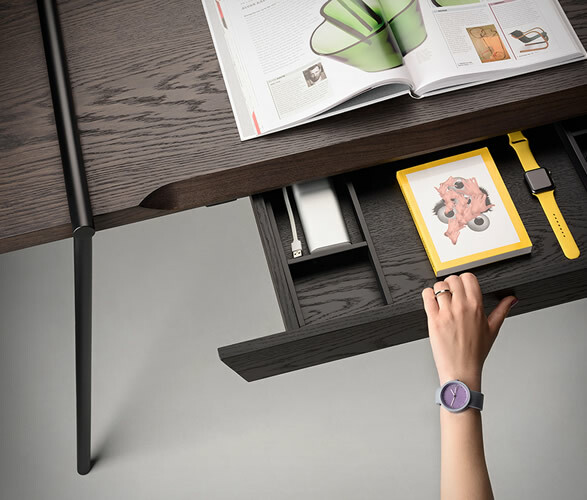 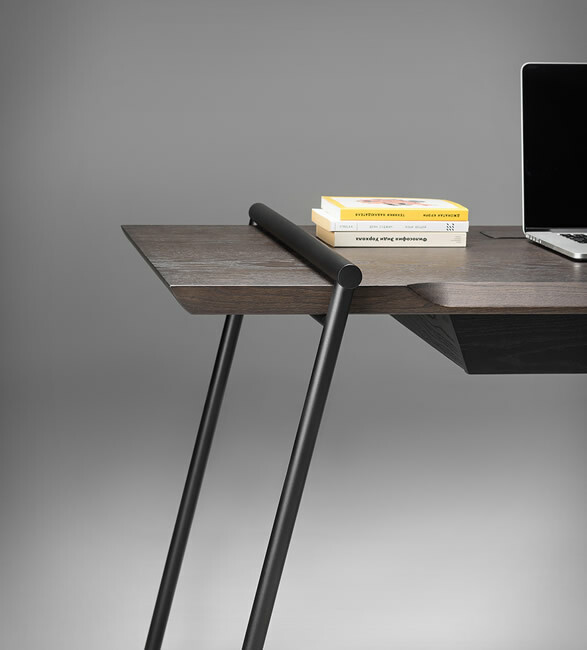 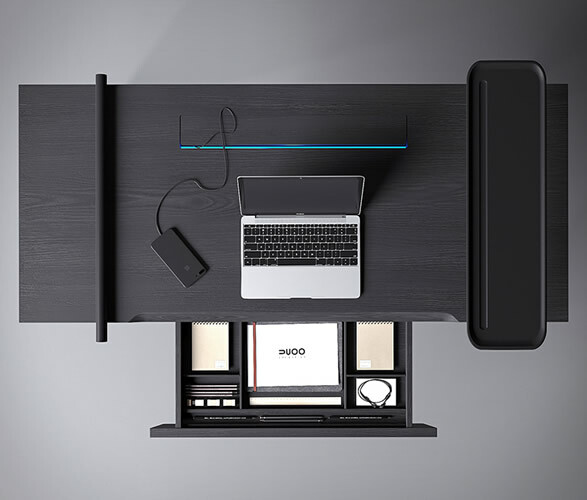 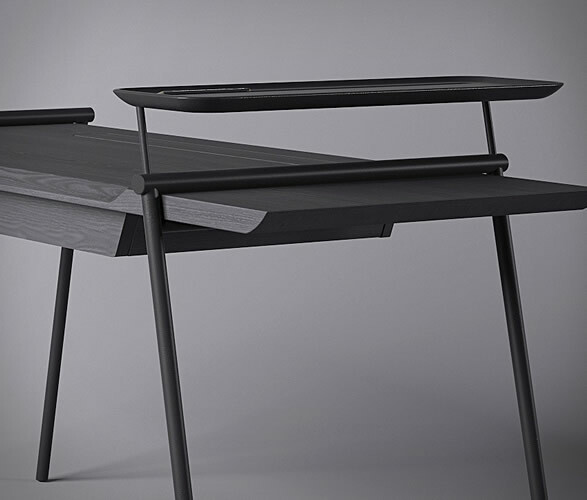 The clean DUOO Desk is featured in the minimalist furniture collection designed by Andrey Mohila for Zegen. 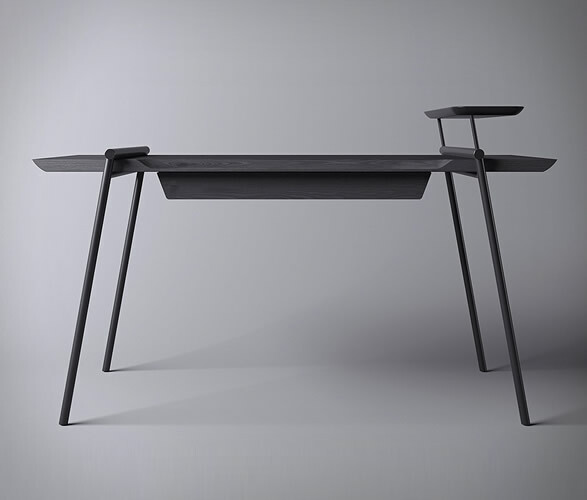 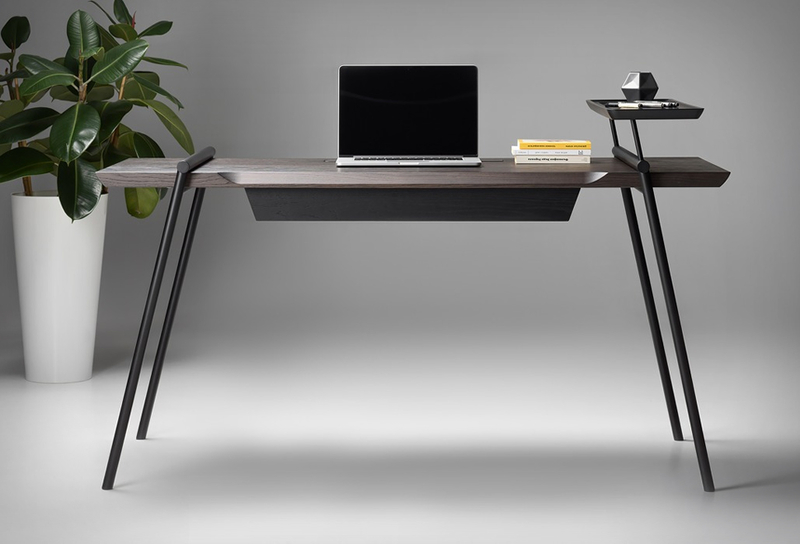 The elegant desk lacks unnecessary details, only featuring those that perform a certain function and emphasize the authentic style of the piece. 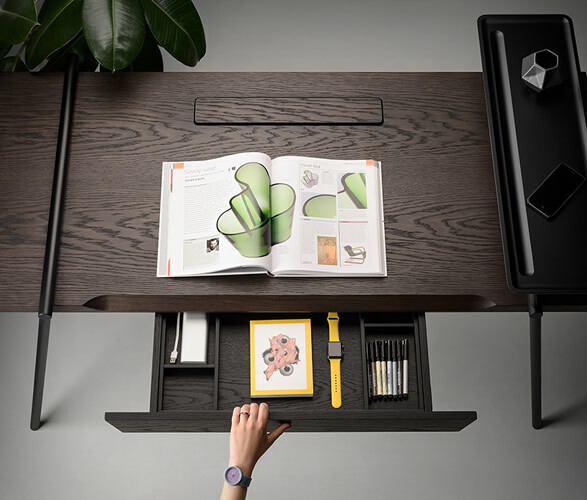 Made of natural veneer that preserves the texture of the wood, the writing desk also features black metal framing, and several organizational details such as a elevated, usable paper/utensil tray, a bottom draw, and a convenient built-in cubby to keep the desks´ clean aesthetic free of cables.